Planner version 1 | Keeps Me Out Of Mischief! Last week I told you about my efforts to start to organise my life – something I’ve been trying to do for years, with little success. But now there are two children to organise and a busy job to make sure I do properly, I needed something new. After much trawling of Pinterest to gather ideas, I came up with these layouts to put in my Filofax. I always intended this to be an evolving project, but this was my starting point. This is where I started with a monthly overview. I had two copies, one for home and one for work but it didn’t really work for me as I found myself only writing annual things like birthdays and anniversarys on it as I wrote the other stuff on the weekly sheets. The weekly sheet did exactly what it says on the tin. I wrote appointments and events for work and home in the first two columns. I then organised the menu and what my two boys were doing each day in the next two columns. Least said about the final column the better as absolutely no bloggin got done for two months once I was back at work. I found this layout really worked for me. I could see what was going on so that I would meal plan effectively for the week and knew exactly where the kids would be at the end of the day to collect them. As the grandparents collect our eldest from Nursery, I need to know exactly which ones he’s gone to and the chance of him eating any dinner after eating whatever treats he’s managed to find in their kitchen cupboards! I then had a daily sheet on which I wrote my timetable for the day and all the tasks I needs to complete. To begin with this worked really well, but I started to find that I needed this set up on Monday and Tuesday when I’m in the classroom, but it wasn’t so useful on my office based days later in the week. 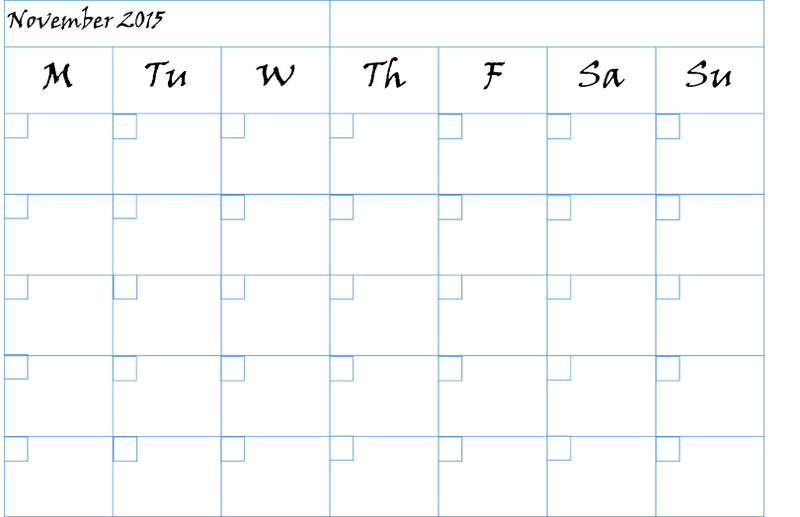 The space for my tasks wasn’t big enough on those days and I didn’t need to plan out my time as well on those days. After this is was back to Pinterest for more inspiration. I started to get interested in Bullet Journals and wondered if they would work for me. 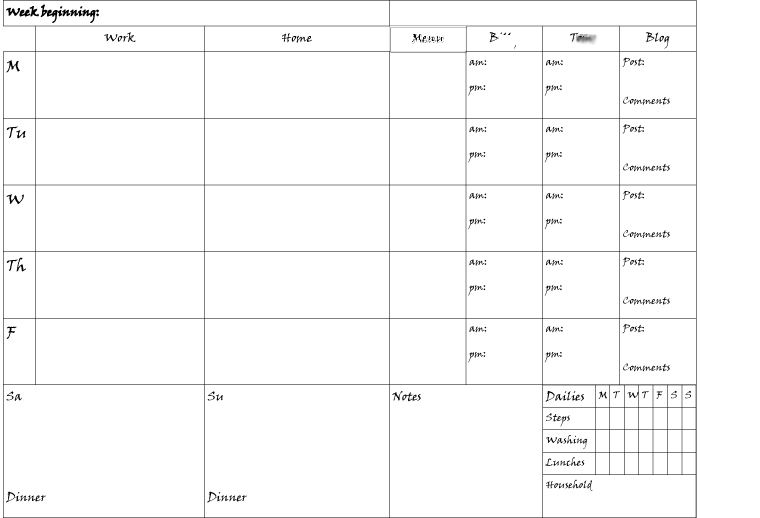 So I evolved my planning format so that it was more like a bullet journal layout but still based in my Filofax. This worked well to begin with, but I couldn’t cope with a daily format, I need to plan ahead more than this so that I can write tasks in advance so that I don’t forget them! I also got a bit fed up of my Filofax – it was a thing of beauty but it was far too big to lug around all the time. My Dad and I have a bit of a thing for stationery and he often buys me notebooks. I decided to use one of these notebooks and try out the bullet journal format. I’ll let you know how it goes. I’m finding it overwhelming too, but writing a list each day is definitely helping. I feel good when everything’s done and I can prioritise when I’ve got an overview of what needs doing.